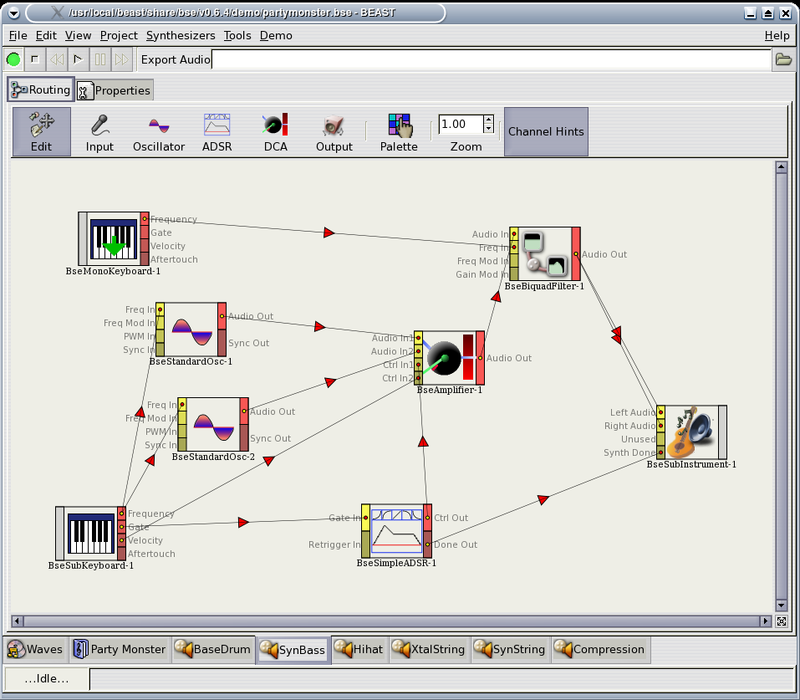 Beast is a powerful music composition and modular synthesis application released as free software under the GNU GPL and GNU LGPL, that runs under unix. It supports a wide range of standards in the field, such as MIDI, WAV/AIFF/MP3/OggVorbis/etc audio files and LADSPA modules. It has excellent technical abilities like multitrack editing, unlimited undo/redo support, real-time synthesis support, 32bit audio rendering, full duplex support, multiprocessor support, conditional MMX/SSE utilisation for plugins, precise timing down to sample granularity, on demand and partial loading of wave files, on the fly decoding, stereo mixing, FFT scopes, MIDI automation and full scriptability in scheme. Any chance there is an OSSv4 plugin for this?